Facing an increasingly hostile investor community, Twitter continues to roll out new features. So far this week, the social giant has added a GIF button -- making it easier for users to search and find the right GIF to accompany their tweets -- and announced the addition of video support in Direct Messages. “If you’re looking for the perfect cat yawn or dance move to express exactly how you feel, just click the new GIF button,” Sasank Reddy, senior product manager, notes in a new blog post. By Twitter’s count, users shared more than 100 million GIFs last year. With the new feature, users can search by keyword, or browse categories of different reactions like Happy Dance, Mic Drop, or YOLO. Plus, users can now capture and share videos in their Direct Messages. The feature is rolling out globally on iOS & Android, this week. On Twitter.com, users can now send videos within DM threads, but not record them directly on the site. This is most likely because Twitter would prefer that people use the new feature on the mobile devices. The two changes are minor compared to Twitter’s recent decision to let users see more relevant tweets positioned more prominently in their timelines. The move away from real-time timelines sparked a backlash among some longtime Twitter users. Rallying around the hashtag #RIPTwitter, incensed users managed to momentarily turn their frustrations into a trending topic on Twitter. 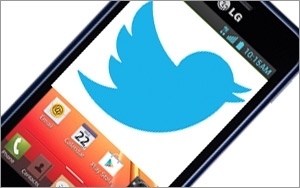 Big or small, analysts say Twitter is doing the right thing by testing new features. For the first time in its history, the social giant failed to add new users during the fourth quarter. Worse yet, the network’s core users -- which excludes those who receive tweets via text message -- fell from 307 million to 305 million, during the quarter. Jack Dorsey, Twitter’s second-time CEO, remains committed to real change. Along with moving away from arranging tweets in chronological order, Dorsey is also reconsidering Twitter’s defining 140-character limit. In another major shift, Twitter is also increasingly opening its doors to unregistered visitors. As of earlier this month, people without Twitter accounts can follow a variety of content streams in real-time.